The leaves are changing colors. That means it’s time for fall art activities! I’m tiring from the same old projects (they were fun, but there’s only so many times that you can make a leaf wreath before you want to poke your eyes out with the stems). So, I tried to get creative. I gingerly placed each leaf on a piece of paper and add bold tissue on top. I used a water-soaked paper towel to drip the water on. It was a no-go. While some of the color stuck, most rolled off onto the paper. I tried soaking the leaves in a mix of food coloring and water. Then I looked at my fingers. The tell-tale signs of tissue paper dye were left behind. “Oh, I wish that there was some way to water color paint with tissue paper without using a brush or staining my hands,” I thought. Then it dawned on me: The color rolled right off the leaf. What a perfect hands-paper barrier. 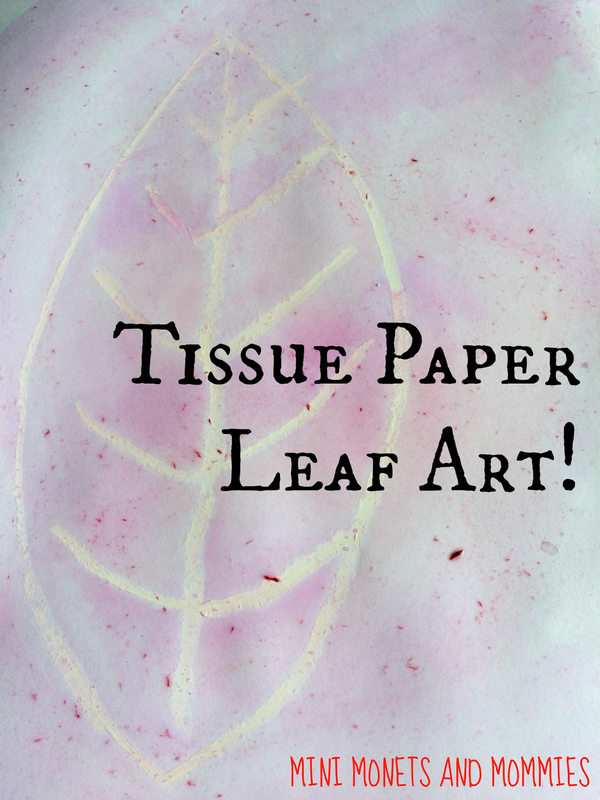 So, if you want to try tissue paper water colors with your child, but aren’t particularly interested in staining her fingers, give this a try. As a bonus, it’s a fun fall-themed project. I added another step, and used this art exploration as a crayon-resist project. · Tissue paper – Only use tissue that bleeds. Colorfast paper won’t work. 1. 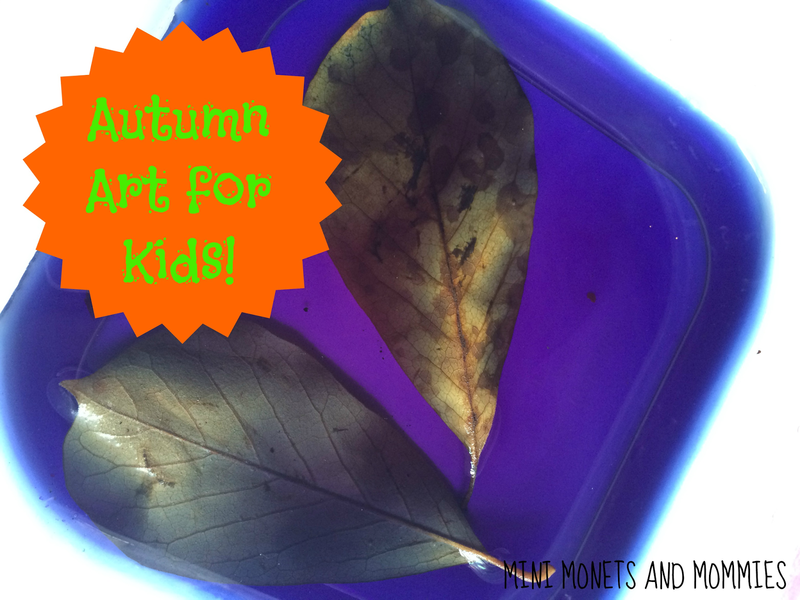 Draw a fall design (such as a leaf or pumpkin) onto the paper with the white oil pastel. 2. Place the tissue on the paper. 3. Squeeze the wet paper towel over the tissue. 4. Spread the colorful water around using the leaf. It’s like your child is finger painting with water colors – minus the messy hands. · Where did the colors in the water come from? 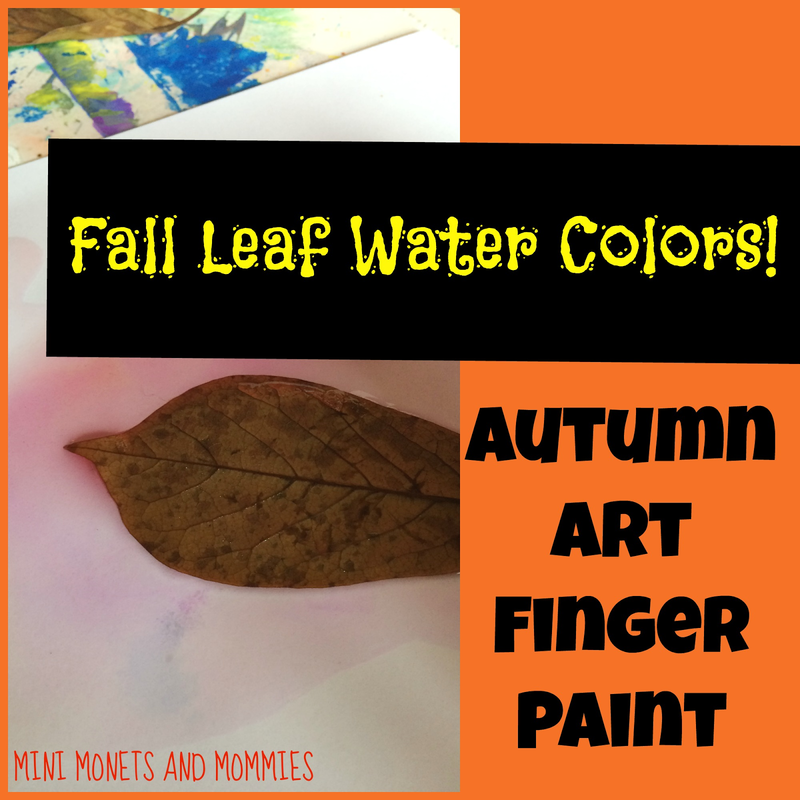 · Why do you think the leaf protected your hand from the water colors? · Do you still see the crayon drawing? Why do you think the paint didn’t stick to it? Are you looking for more leaf projects? 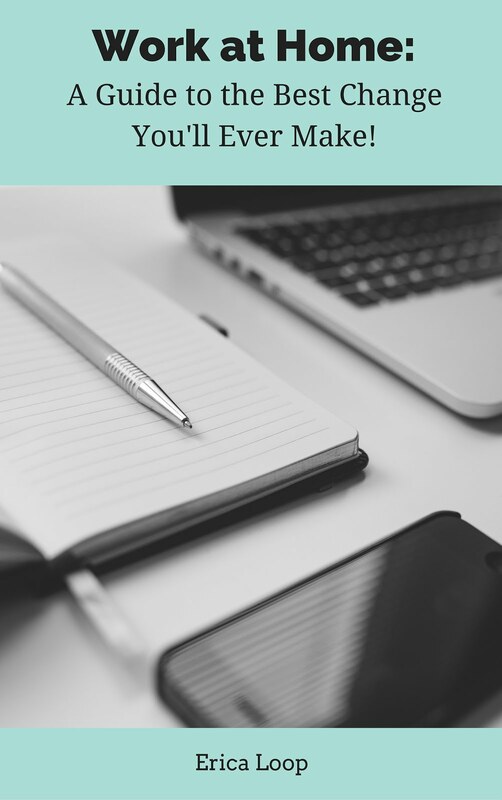 Follow my fall Pinterest board for ideas! I love how creative you were when your first idea didn't work!!! Will definitely be trying these out! Thanks! They don't all work the first time around - at least many of mine don't! Lovely idea! Love that you're not afraid to experiment and show that not every craft / art project turns our perfect! Sadly, these days there is only so many of this posts and I'm afraid we're putting too hard to reach goal to other parents instead of helping them. Thank you for adding this post to Tots at Play: L is for Leaves linky. You're welcome to add any of your newly published posts or those from archives to any of our existing (or future) Tots at Play linkies. Now I'm off to schedule this and to promote it a bit around the net. :) Thank you again!